UPSEE 2019 Admit Card has been made available after successful submission of Application Form from 15 April 2019. 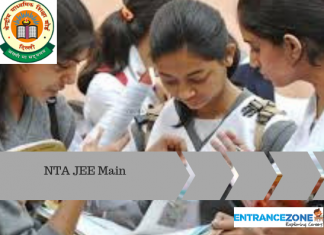 Uttar Pradesh State Entrance Examination is an online entrance exam that takes place in the last week of April for admission in the various college Affiliated to Dr APJ Abdul Kalam Technical University AKTU, Lucknow. Candidates need to go through the registration process for UPSEE which requires them to fill up the online application form by paying up the examination fee. After successfully applying for UPSEE 2019, the candidates will be able to download their admit card for the UPSEE 2019 Examination. This admit card is the most important document in order to sit for the exam along with an ID proof. The admit card is available online on the official website of UPSEE after an announced date. This exam is very important for aspirants willing to take admissions in the state of UP. So it is a very important exam for the candidates residing in the state of up. 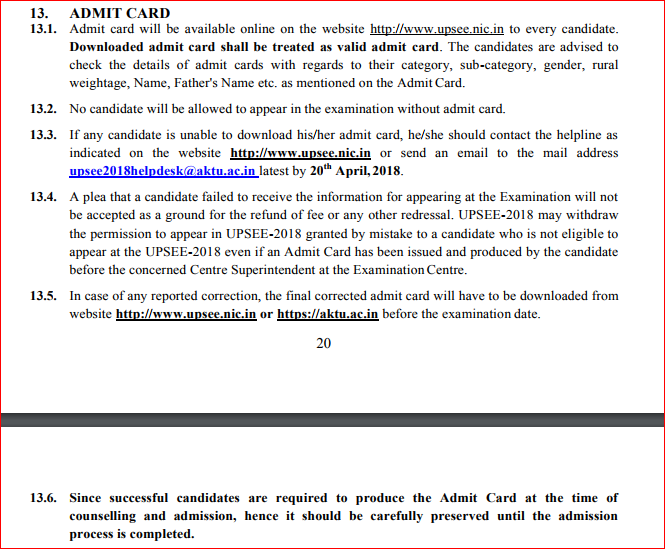 Downloaded the admit card from the official website(www.upsee.nic.in) of UPSEE 2019. The admit card consists of many details such as name, roll number, category, sub-category, gender, rural weightage, father’s name, examination centre address. Candidates should check on these details before sitting for the exam. Without the admit card, no candidate will get the permission to sit for the exam. If any candidate is unable to his/her admit card, they must immediately contact the helpline available on the official website of UPSEE or send an e-mail to the helpdesk before the 20 April 2019. After the admit card is corrected from any discrepancy, a new copy must be downloaded from the official website of UPSEE or AKTU before the date of examination. 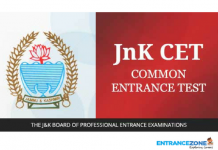 The candidates must produce admit card at the time of examination. However, the aspirants must preserve for the counselling process and also for the admission process till it is complete. The admit card of UPSEE 2019 contains details given below. 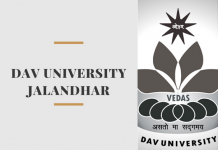 Candidate’s UPSEE 2019 Roll Number. Exam date, timings, and venue. 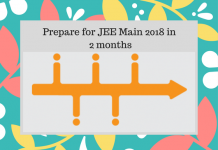 Important instructions for UPSEE 2019.
upsee admit card download, uptu admit card 2019 paper 1, uptu b.tech admit card, ggtu admit card 2019, admit card of upsee 2019 entrance exam, upsee.nic.in login, uptu admit card 2018 download, uptu result 2018, uptu 2019, aktu admit card 2018, upsee admit card 2018, aktu admit card 2018 download, uptu admit card 2018 date.